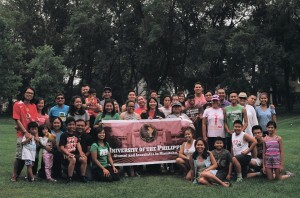 PalarOlympics Season 5 – UP Alumni & Associates in Manitoba, Inc.
PalarOlympics 2015 was hosted by UPAA-MB Membership Committee at Kildonan Park on August 29, 2015. 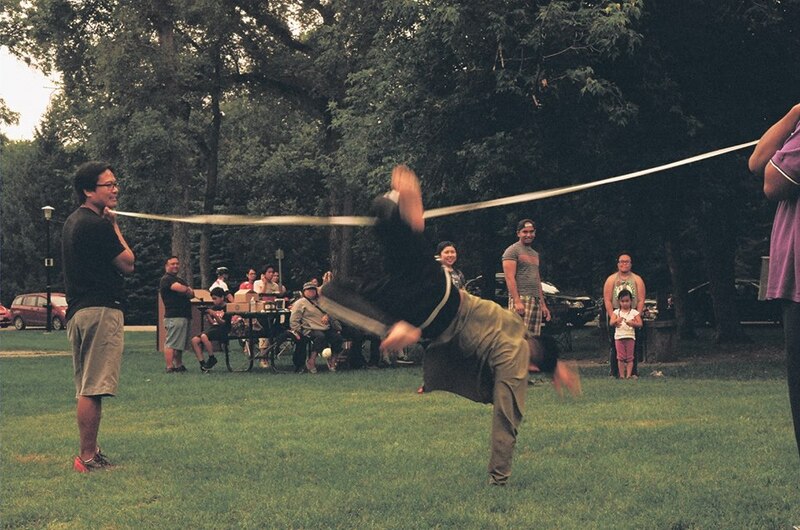 It was a neck and neck competition between the Green and the Orange teams. The teams were tied-up after 6 games: Dr. Quack Quack, Egg Catching, Chinese Garter, Siyato, Patintero, and Dodgeball. The Green Team won overall with a .02% edge above the Orange Team in the Cheering Competition Event with their rally chant “Kami ang Green, Panis ang Orange!” in the tune of “Now watch me whip. Now watch me nae nae”. The organization would like thank all the members who made this event exciting and fun starting with the Flores Family, Quijano Sisters & Aaron E., Buenaventura Family, Maramag Family, Fabian Family, Gonzales Couple, Norman Garcia (current UPAA-MB Chairperson), Lourdes Casañares, Danjae Medina, Aimee Ronabio and Ramon Sales (former UPAA-MB Chairperson). 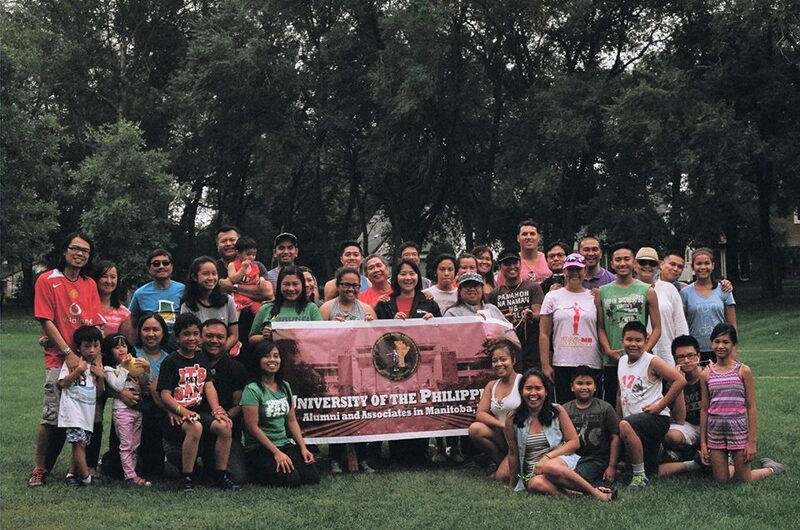 Special thanks to the UP Alumni who joined the event: Alvin Diaz and Family, Eppie Austria and son, Gian, Tine Pau and Family, Dot Del Rosario, and Wella Realon. The organization hopes that everyone will continue to be a part of the growing UPAA-MB family. Kudos to all the members of the Membership Committee, especially to Jullie Quijano, former UPAA-MB Chairperson, who led and officiated the Palaro. It was heard from the grapevine that it was the best officiated Palaro so far–there were no protests.